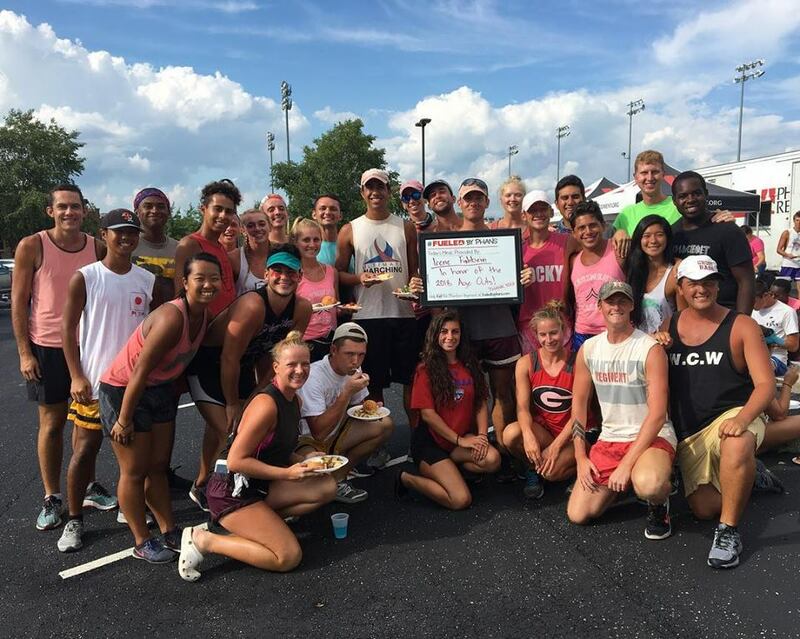 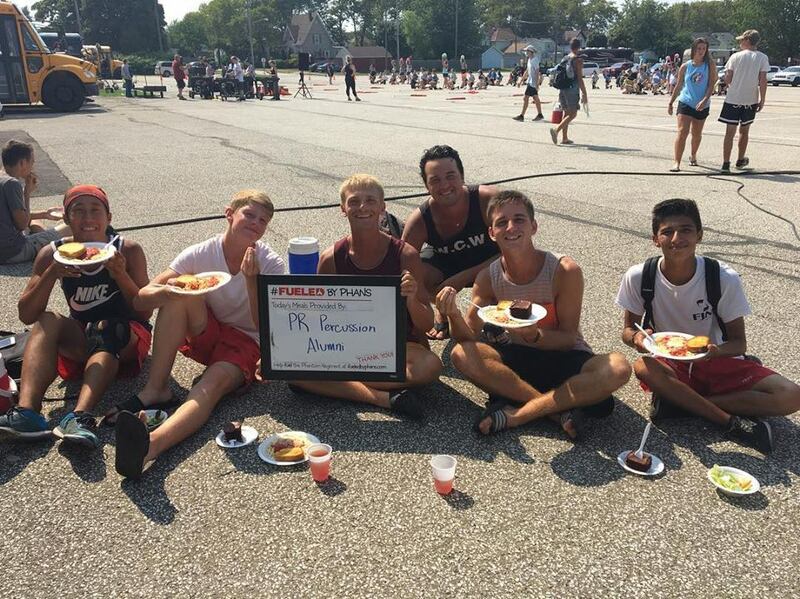 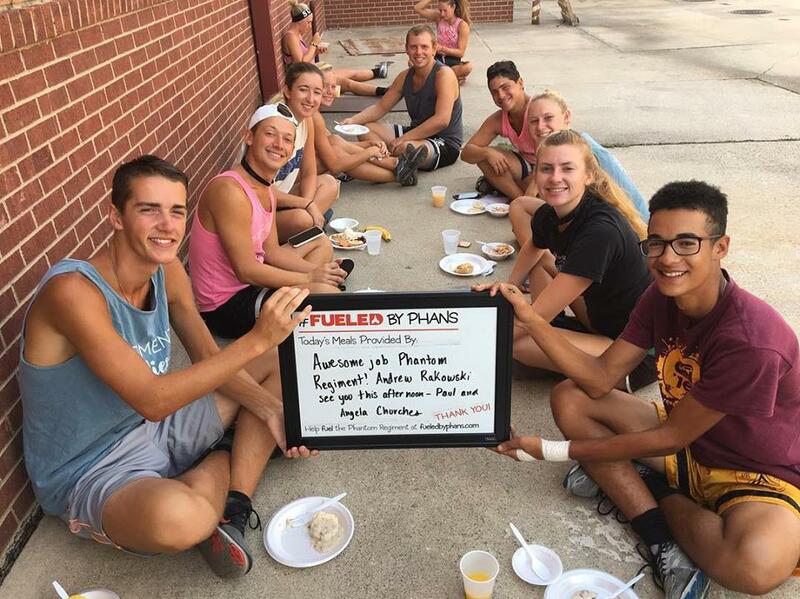 The Phantom Regiment is committed to providing healthy nutrition to meet the consistent demands of a day on tour. 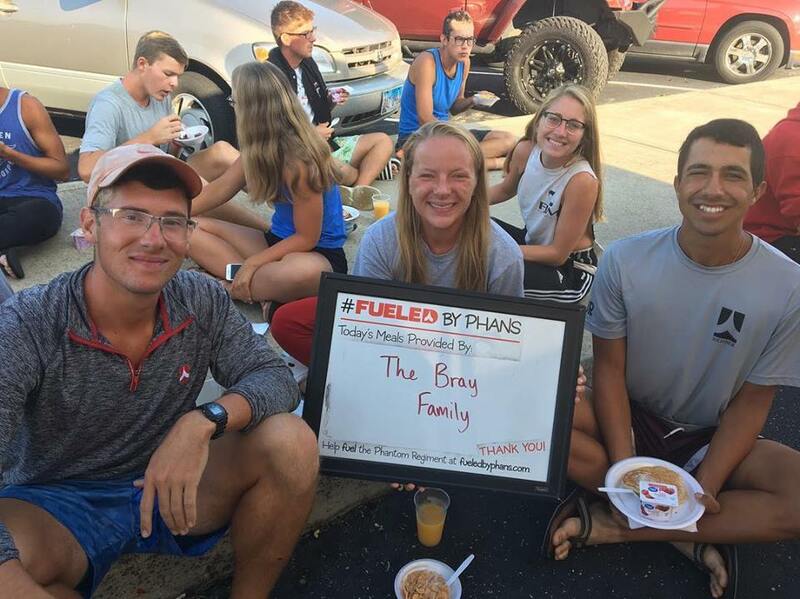 Over the course of four daily meals, our members and staff will consume huge amounts of fresh fruits and vegetables, lean meats, complex carbohydrates, milk, eggs, and cheese. 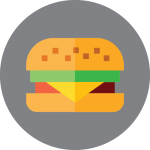 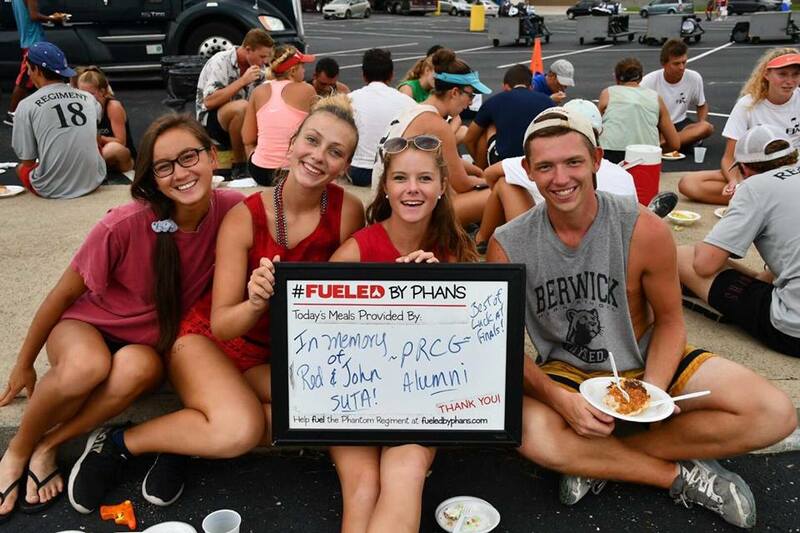 We also provide comfort food alternatives such as peanut butter, cereal, and even desserts after dinner. 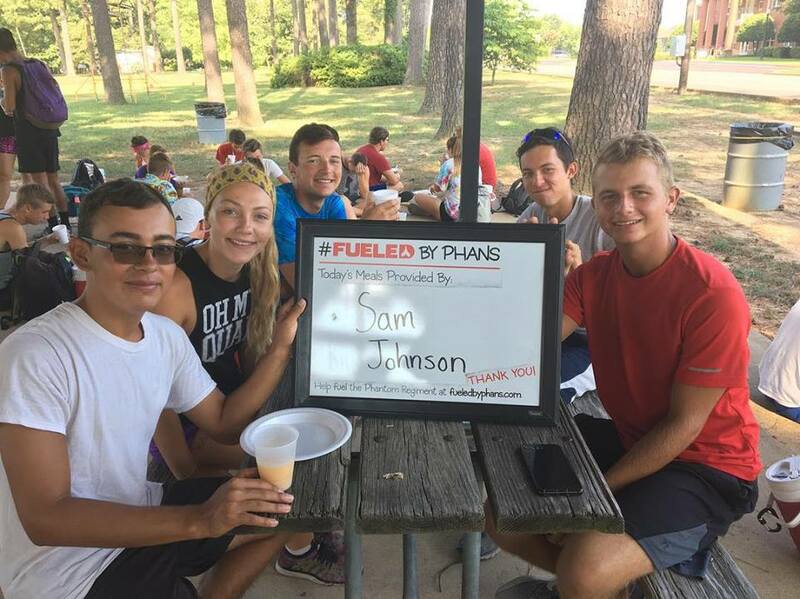 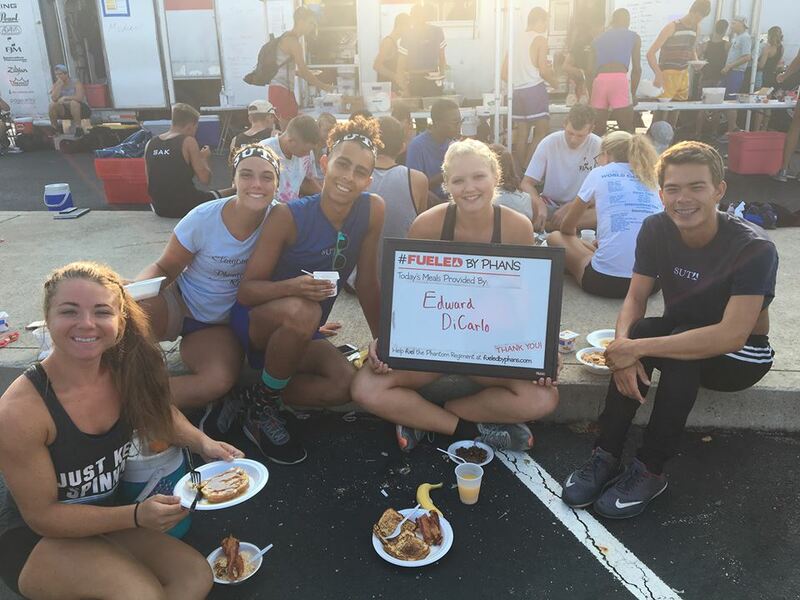 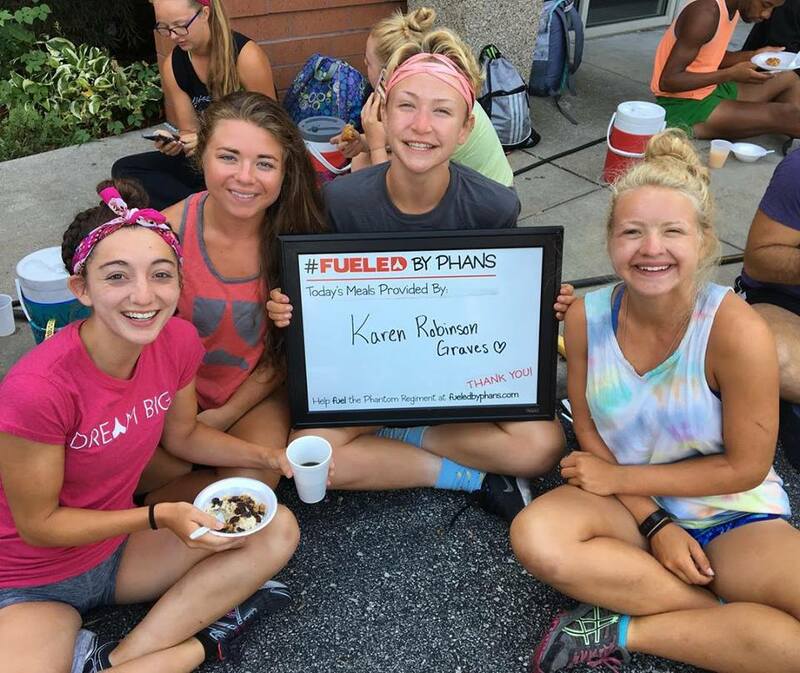 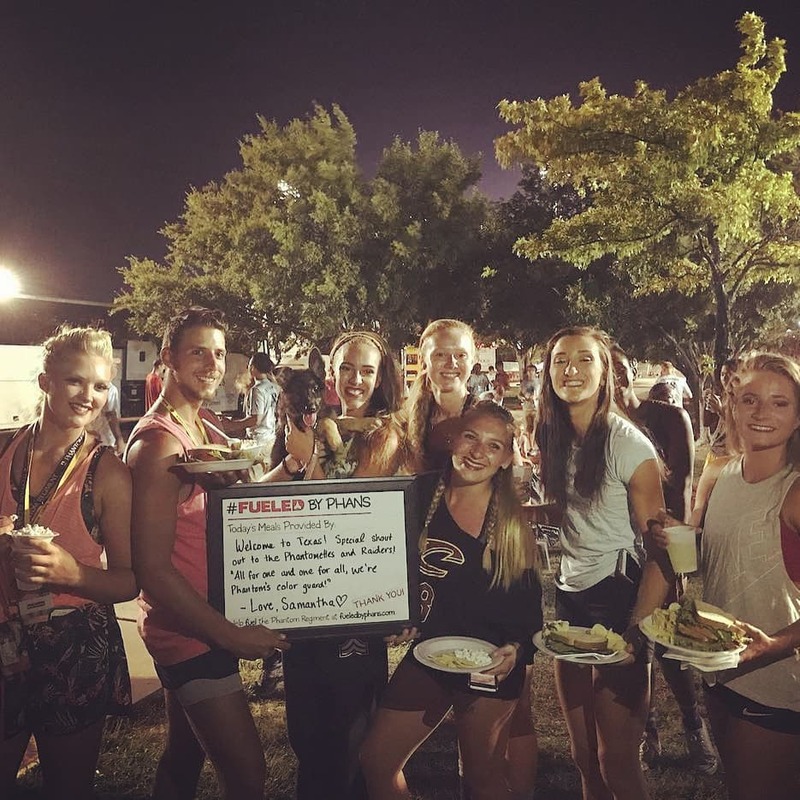 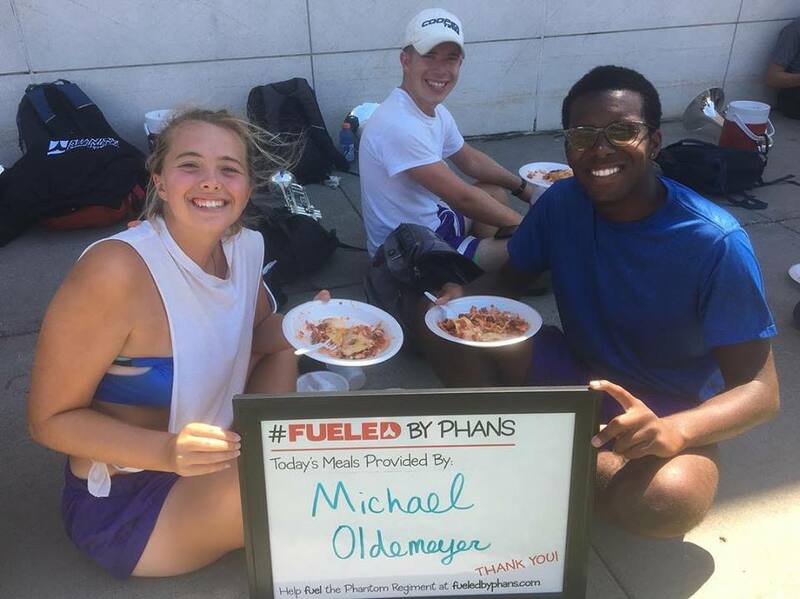 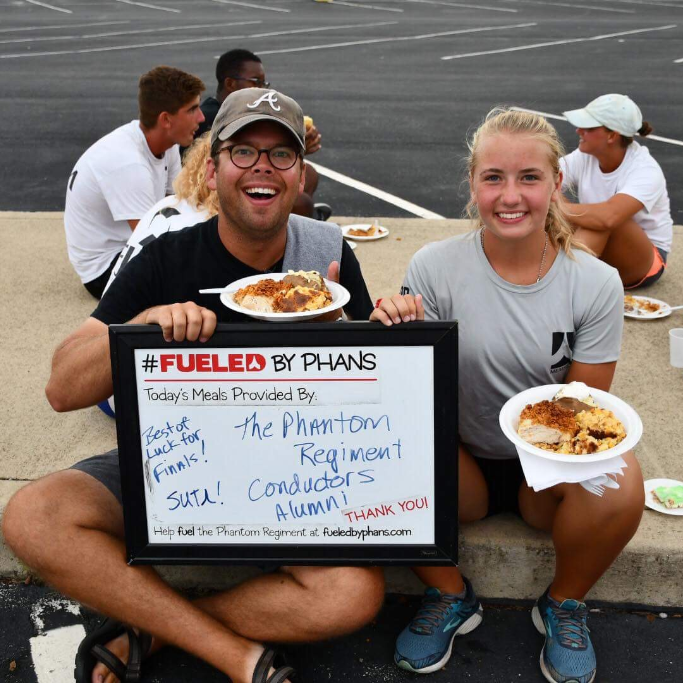 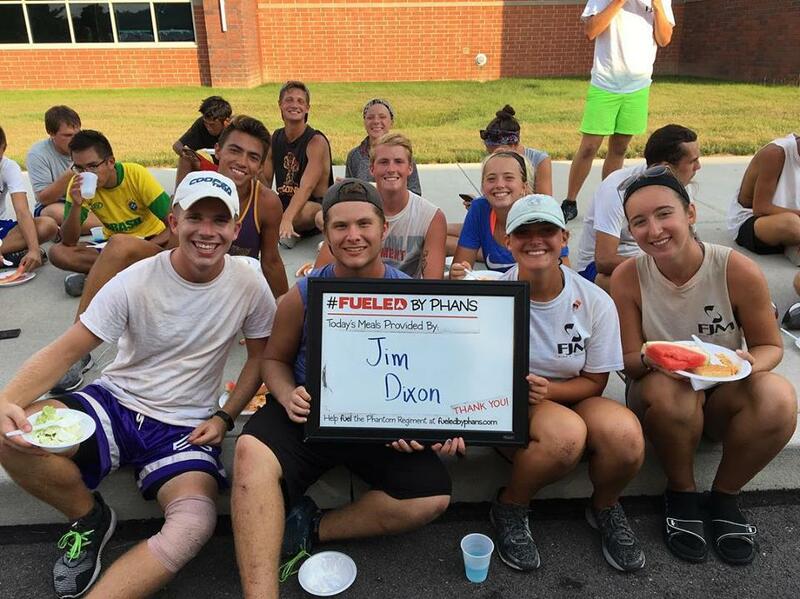 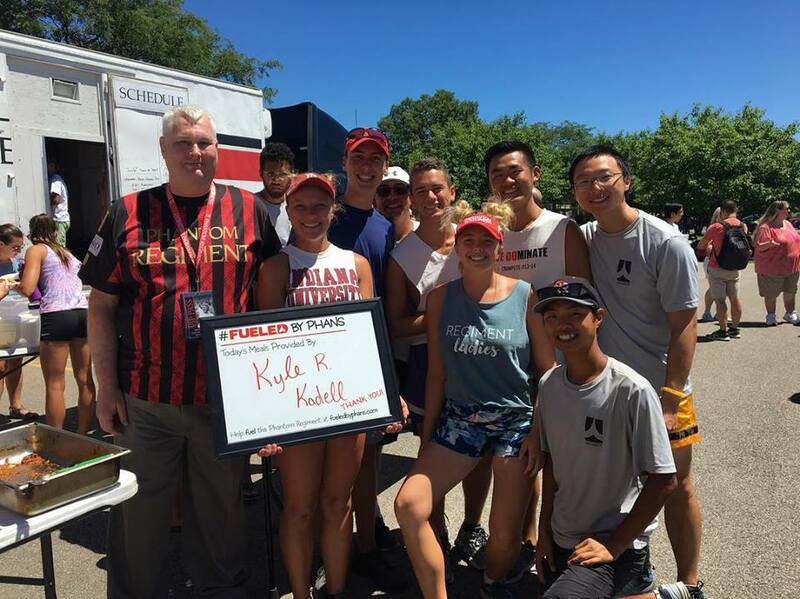 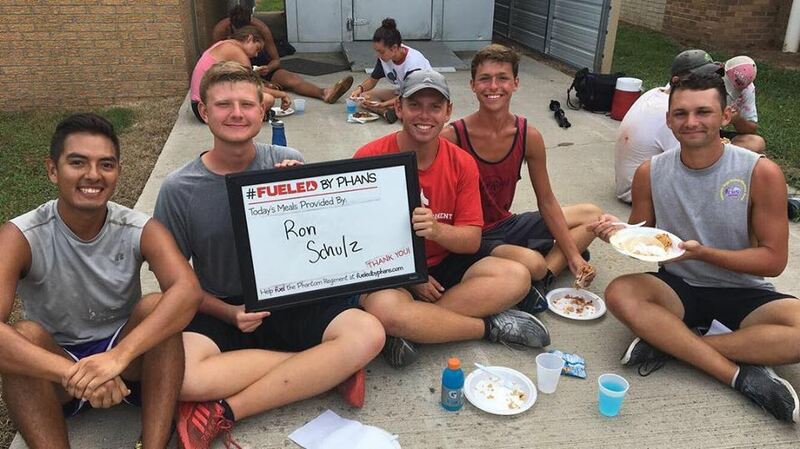 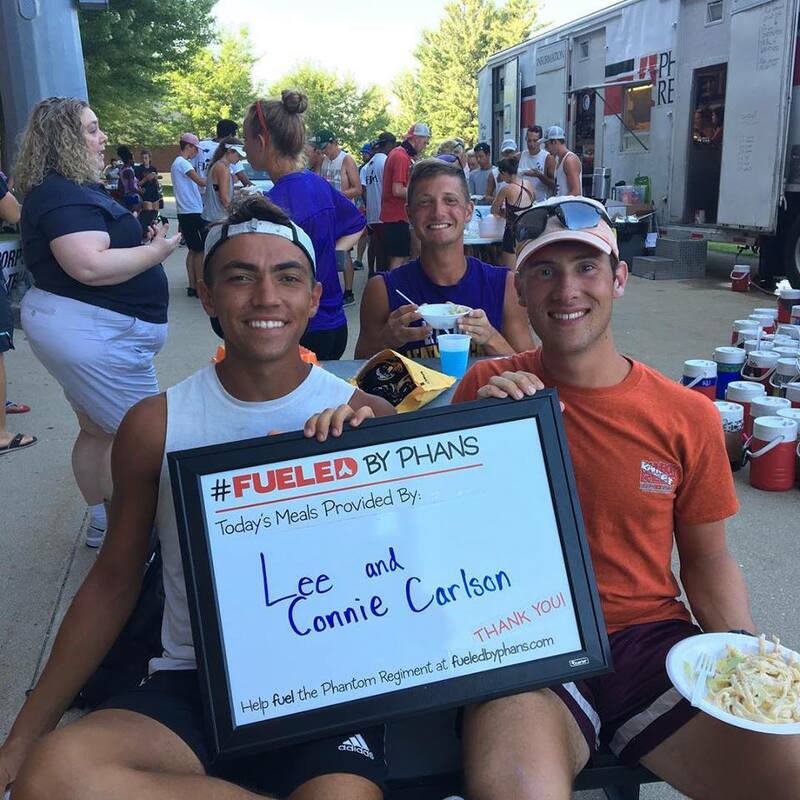 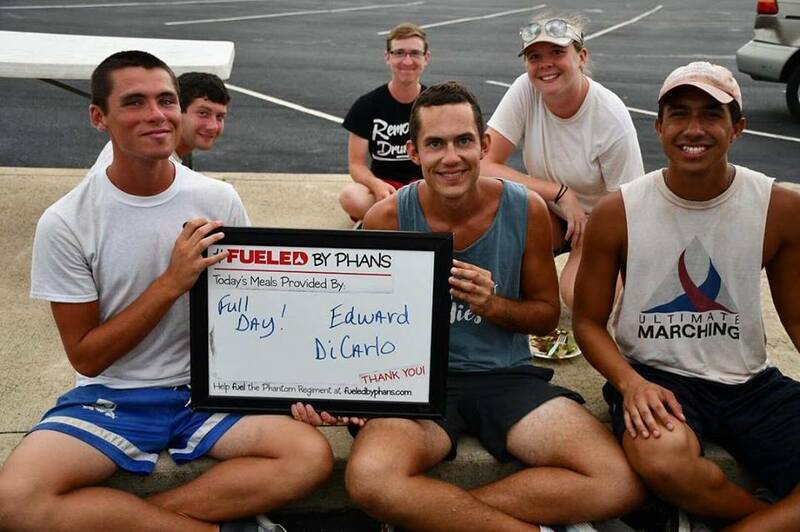 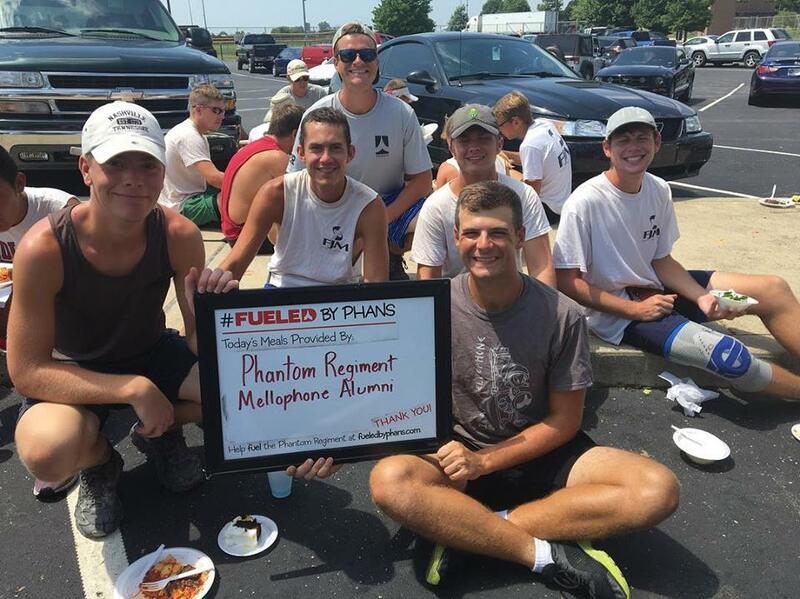 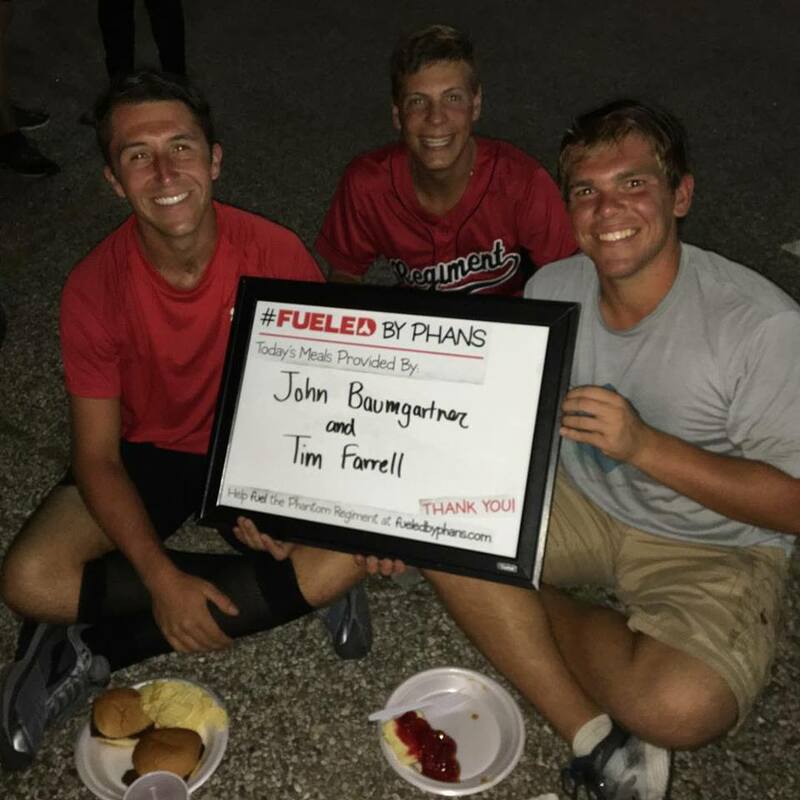 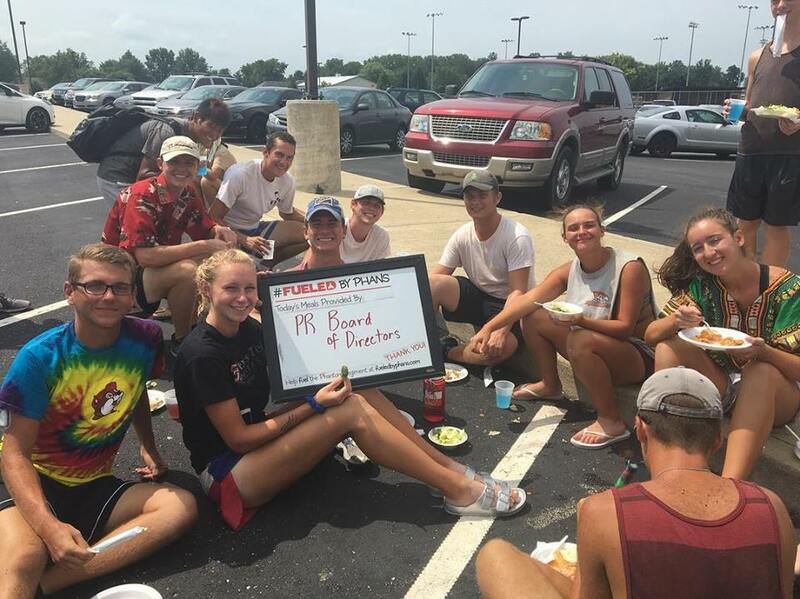 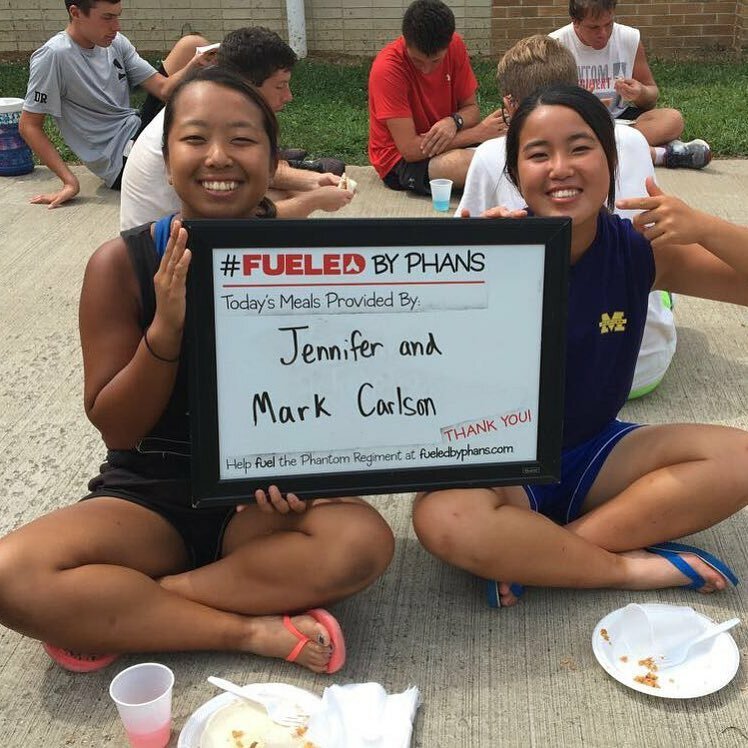 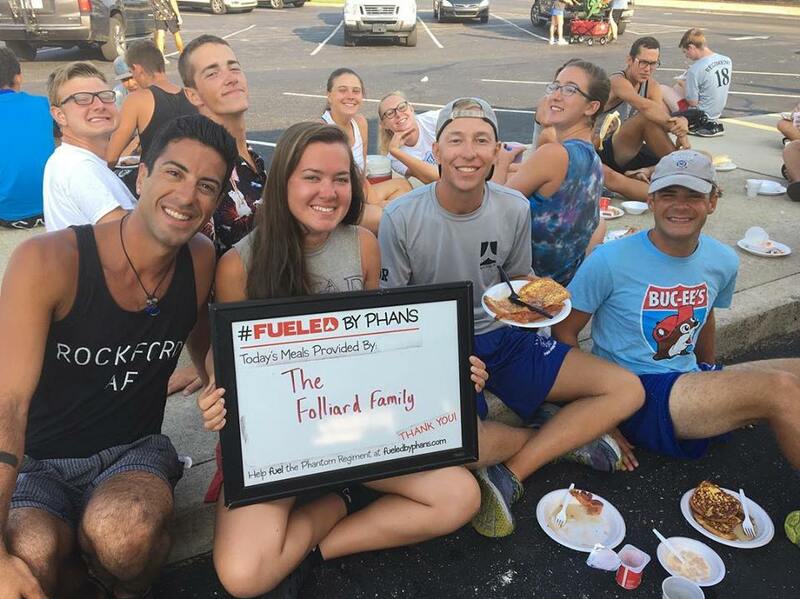 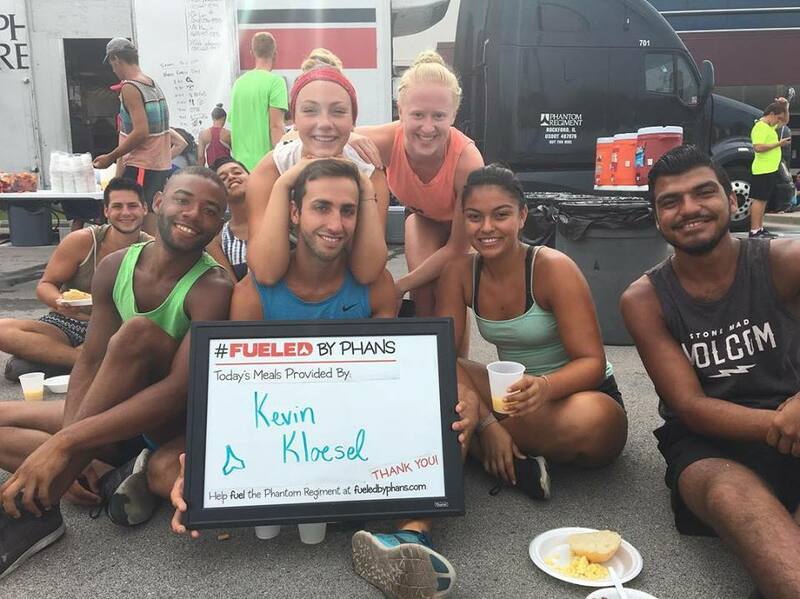 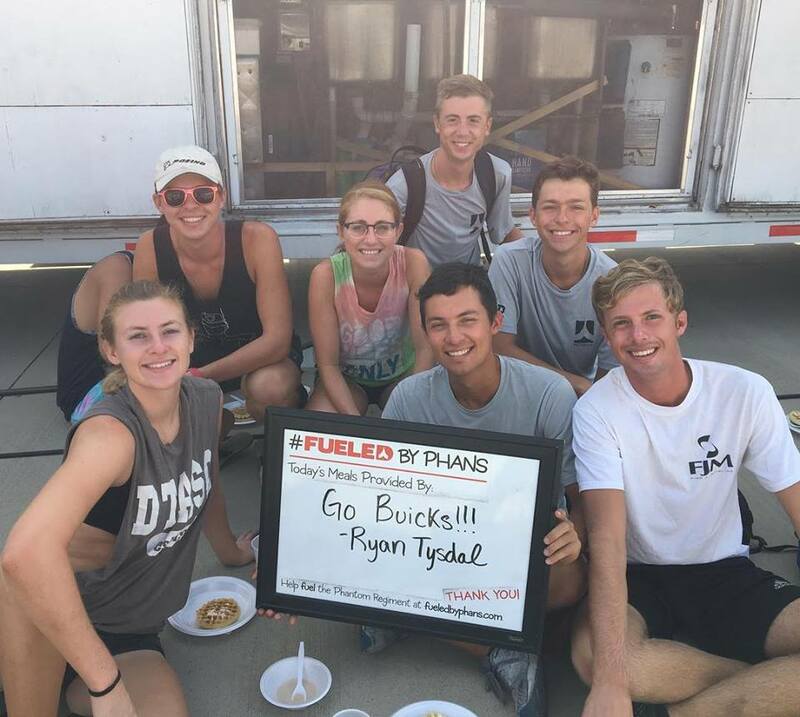 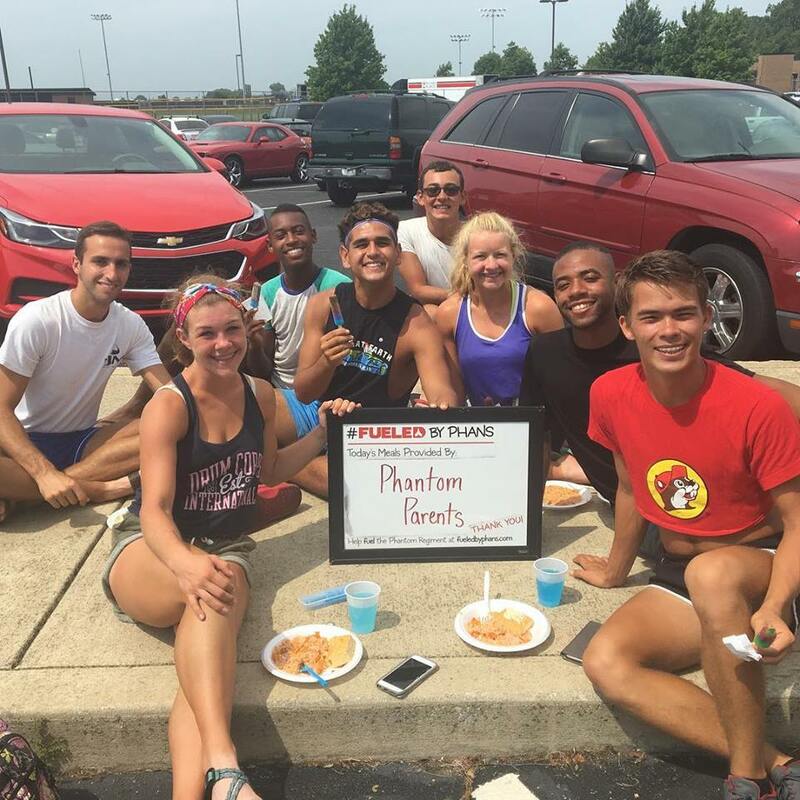 Fueled by Phans is your opportunity to play an active part in supporting the members of Phantom Regiment by sponsoring a meal during the 2019 training camp and tour.